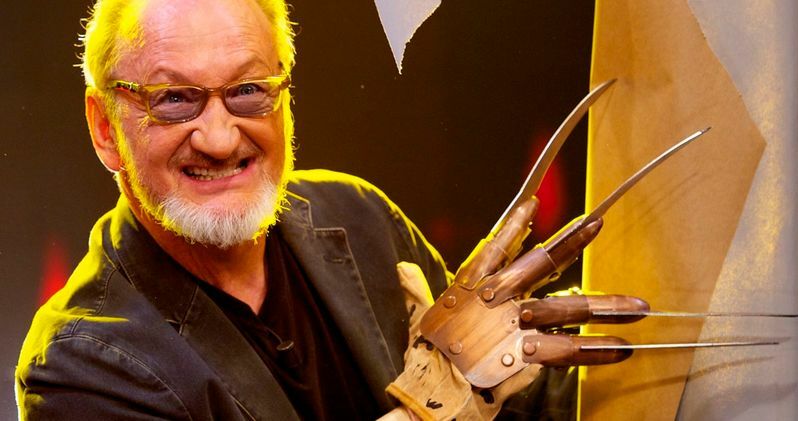 Horror movie legend Robert Englund is coming to the Travel Channel to host the upcoming TV series Shadows of History. On the series, Englund will investigate some of the most "frightening, odd, and creepy" stories he can find from American history, printed in actual newspapers. Given his background in the genre and status as one of the all-time most beloved horror stars, hosting a series such as this seems to be rather appropriate for Englund. Each episode of the new series will present Englund's attempts to determine what's fact or fiction as he dives into these strange stories looking for the truth. Historians and scholars will also be assisting the horror icon with his investigation. As of now, the network has ordered a total of six episodes for Shadows of History, but additional episodes might be possible if the new series is a success. "How can you make fascinating and petrifying stories even more scary? Add the genius of Robert Englund," says Jane Latman, GM of the Travel Channel. "As if tales of flying monsters, zombie cannibals and ghost ships were not enough, we are cranking up the volume for maximum impact. And our fans are going to go nuts for this legendary actor." Of course, we all know Englund best for playing Freddy Krueger in A Nightmare on Elm Street and all of its sequels. Directed by Wes Craven, the original movie came out in 1984, telling the story of a dream demon targeting the children of the vigilante mob who'd burned him to death. After becoming an instant fan favorite, the movie spawned an entire franchise of movies, a TV series, video games, toys, and other merchandise featuring Freddy Krueger. Englund last appeared in theaters as Freddy in the 2003 crossover movie Freddy vs. Jason, but has since reprised the role for a special appearance on the comedy sticom The Goldbergs. Additionally, Englund has been featured in memorable roles in many other genre movies as well, including Wishmaster, Urban Legend, The Phantom of the Opera, and a humorous part in the indie gem Jack Brooks: Monster Slayer. On the Travel Channel, Englund will be in some good company. Evil Dead franchise star Bruce Campbell is also heading to the network to host a reboot of Ripley's Believe It or Not. The series will be built around real-life stories from all over the world, highlighting some of the most unusual events, items, people, and locations to be found on the planet. "Because amazing things happen all around the world, we should have no shortage of unbelievable stories to share with a fresh new audience," Campbell said when the show was announced in January. Travel's Ripley's Believe It or Not will consist of ten hour-long episodes, and is set to premiere sometime this summer. Englund's new show Shadows of History is produced by Workaholic Productions, the same team behind the Travel Channel shows The Yes Man and America: Facts vs. Fiction. Workaholic's Luke Ellis and Travel's Daniel A. Schwartz will be executive producing. No word yet on when the new series will premiere. This information comes to us from The Hollywood Reporter.